Fall brings cooler temperatures, warm blankets, pumpkin spice everything and our favorite autumn arrival, marathons. 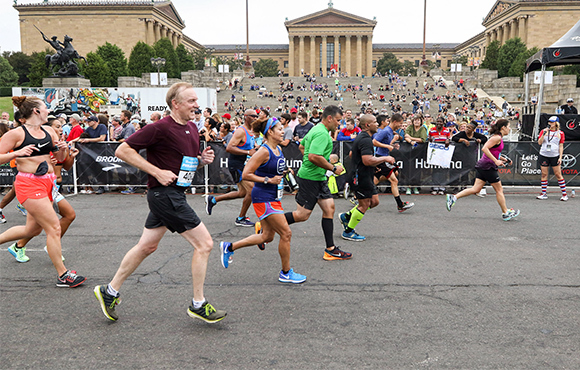 Some of the most notable races of the year are coming up in the next couple of months, and you can bet there will be a few first-timers at the starting lines. Eating too much fiber beforehand is a bad idea. Eating foods rich in fiber before your race can leave you feeling full and uncomfortable. If that wasn't enough, soluble fiber will also speed up your digestion. 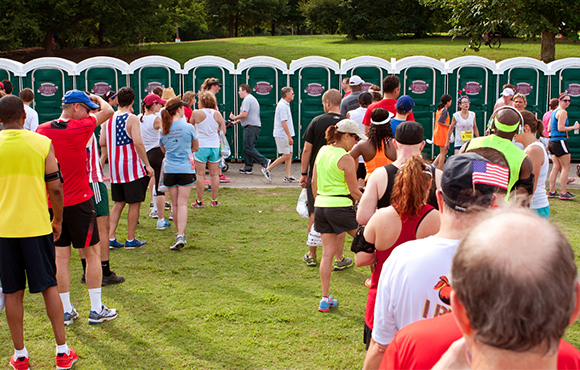 You will be under enough stress on the big day as it is without suddenly panicking about where to find the next portable toilet. So, try to avoid too much fiber before the race and you'll have one less thing to worry about. The post-marathon beer doesn't taste that great. 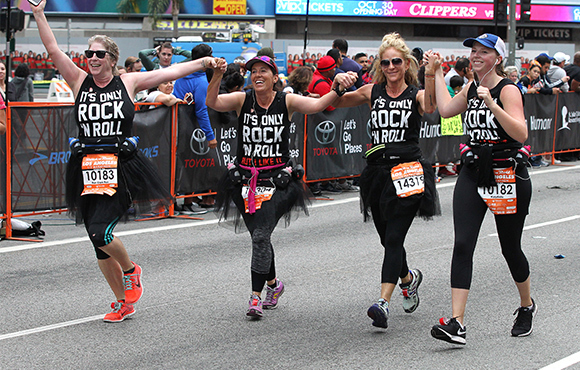 After an achievement like 26.2 miles, you'll feel like having a treat. 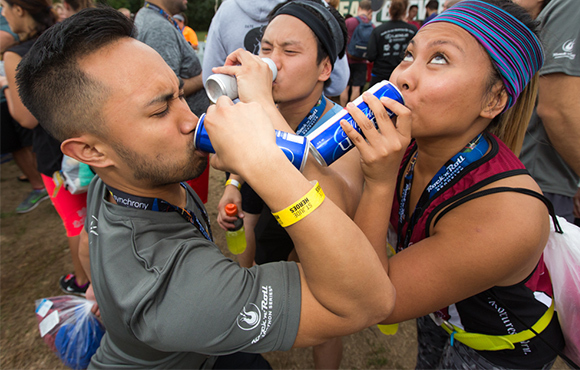 That treat, however, is not the over-hyped beer offered to you after the finish line. Trust us. Start the first mile slow and don't panic. It's a classic scenario. The race begins and everyone charges off. 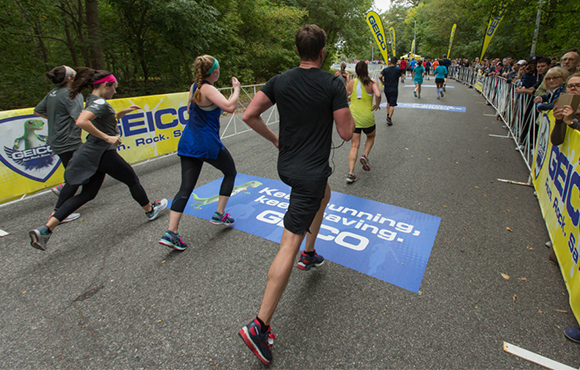 As the first runners begin pulling away, you start to panic that you'll be completely left behind. It may seem that even the most elderly runners are way ahead of you. Don't let this put you under pressure to forget your pace and your plan. The first few miles will be crowded, but just roll with it and take your time. If you start too fast, you'll lose power down the road. Try your snacks and energy gels beforehand. There's nothing worse than being at mile 14, pulling out an energy gel or power bar and then finding out 15 minutes later that it doesn't agree with you. Obviously, it's also a downer if it tastes gross, too. So, try any new snacks or flavors before the big day, just to be sure your stomach—and palate—can take them. Much older people will pass you--and that's ok. 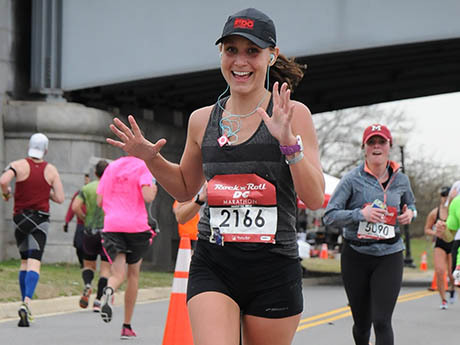 First-time marathon runners are often surprised when they're passed by people who appear less fit. If an elderly lady leaves you behind, that could hurt your ego a bit. And, if someone who appears much heavier than you passes by and you just can't catch up, it can leave you a little surprised. It happens more than you think, though, and it shouldn't be important to you. Don't chase someone because you assume you should be ahead of them. The only thing you need to focus on is you, and no one else. Prepare for how emotional it will be. 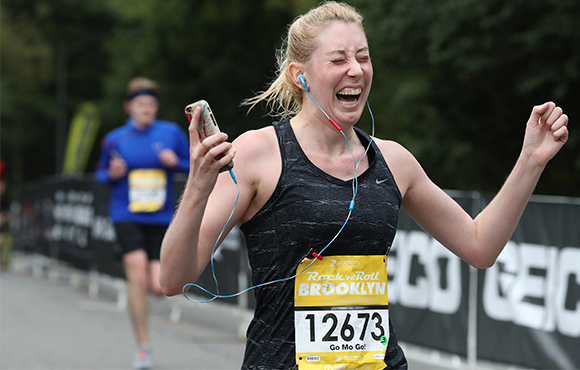 Many marathon runners experience a sudden rush of emotions after they complete the race. This is to be expected when you consider what an achievement it is, including the countless hours of work and pain and the final struggle of the last few miles. Achieving the goal you've worked toward for so long for can be very emotional, so embrace the feelings and be proud of yourself.